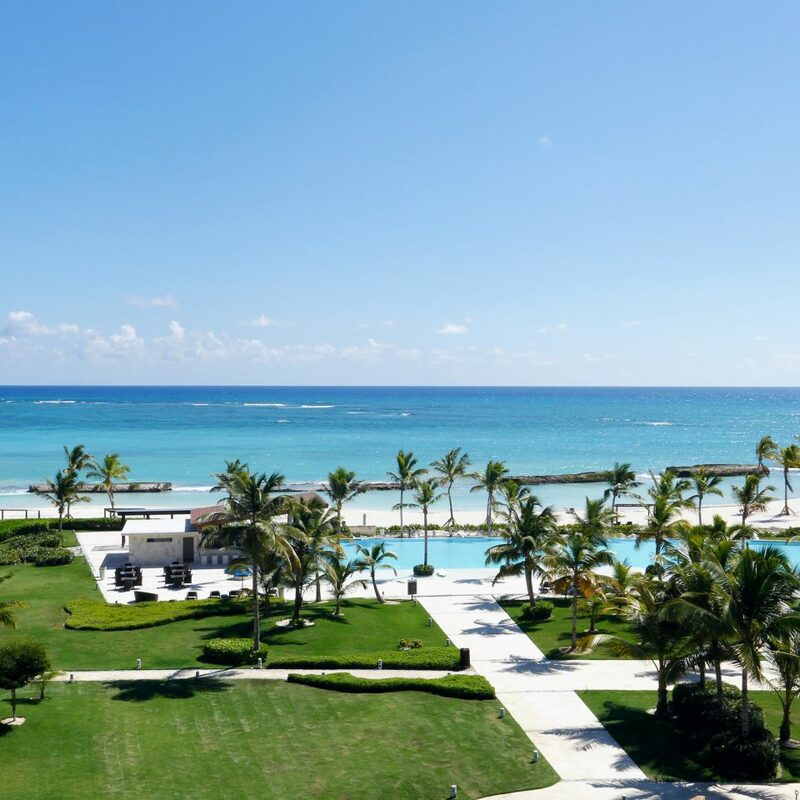 With turquoise walls, sand-hued furniture and seashell decor, the hotel’s interior directly reflects the sweeping beach vistas from the glass-walled lobby. The complex is a former Sotogrande property, constructed just four years ago and partially inspired by the original Spanish location — and it shows. 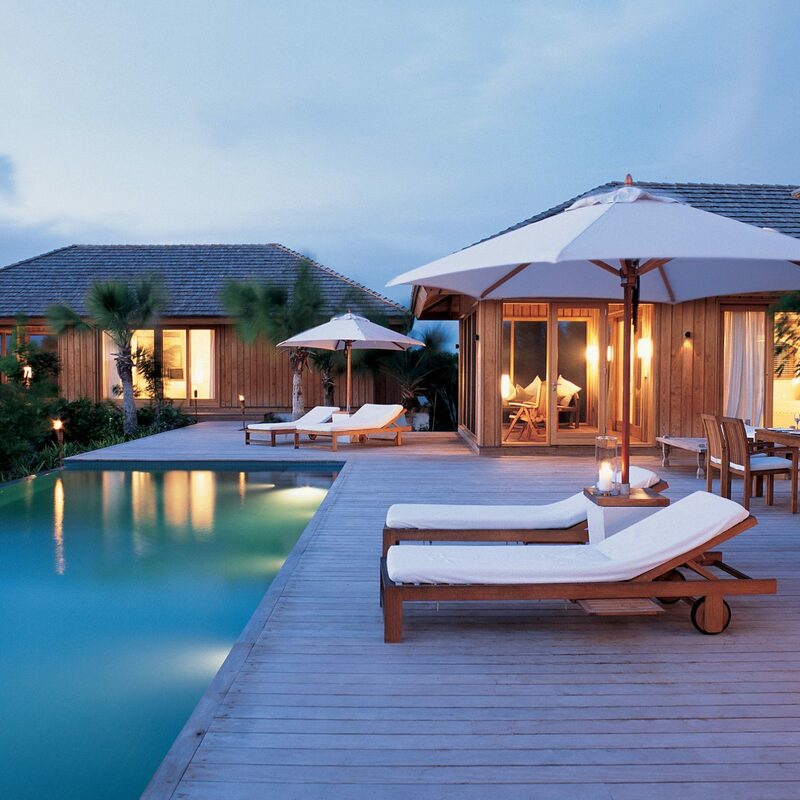 With slatted wood, tan exteriors and terra-cotta roofs, the hotel resembles a collection of seaside Spanish villas encircling the beach, infinity pool and fountained lagoon. 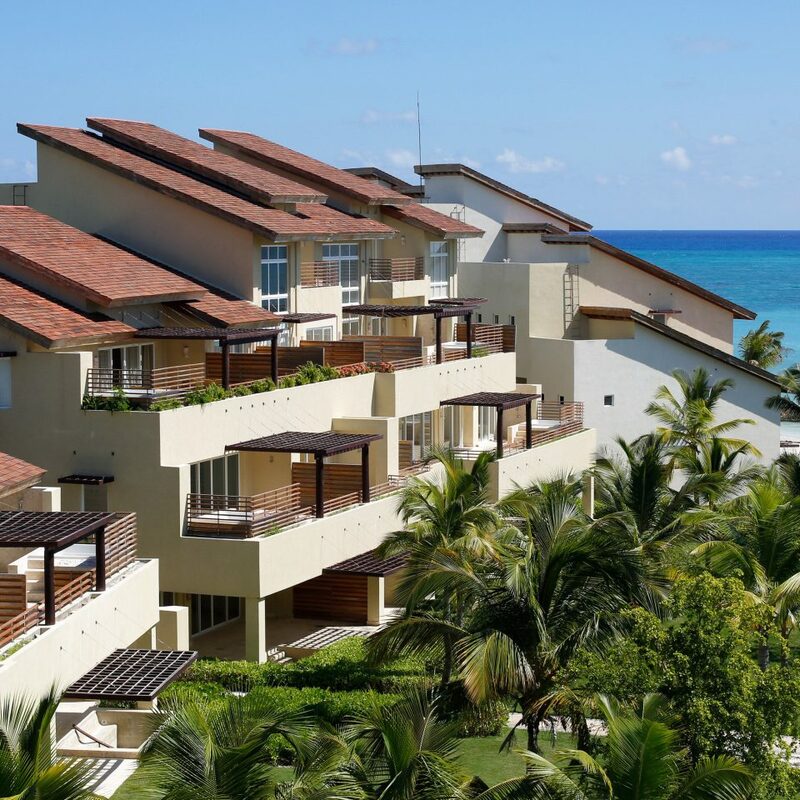 Plants and greenery hanging off balconies give the property a lush, terraced vibe, and 90 percent of the rooms have ocean views. Before it became a hotel, the Alsol del Mar complex was a set of luxury condominiums, which explains why the rooms feel so livable. 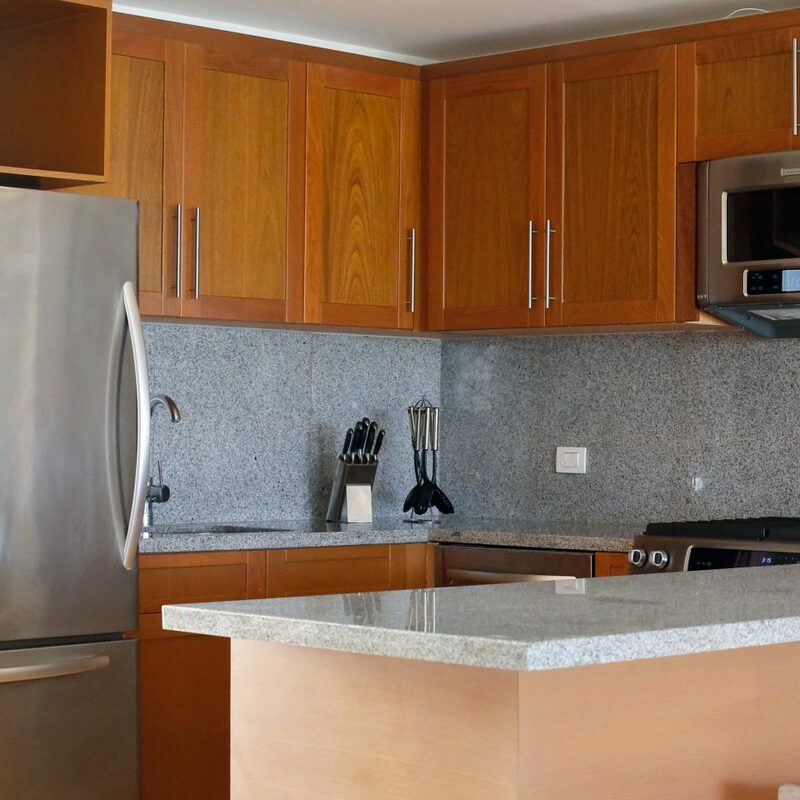 All suites — even the smallest, the 678-square-foot Deluxe Studios — have kitchenettes (the larger suites have full kitchens and dining areas), washer/dryers and balconies or terraces. 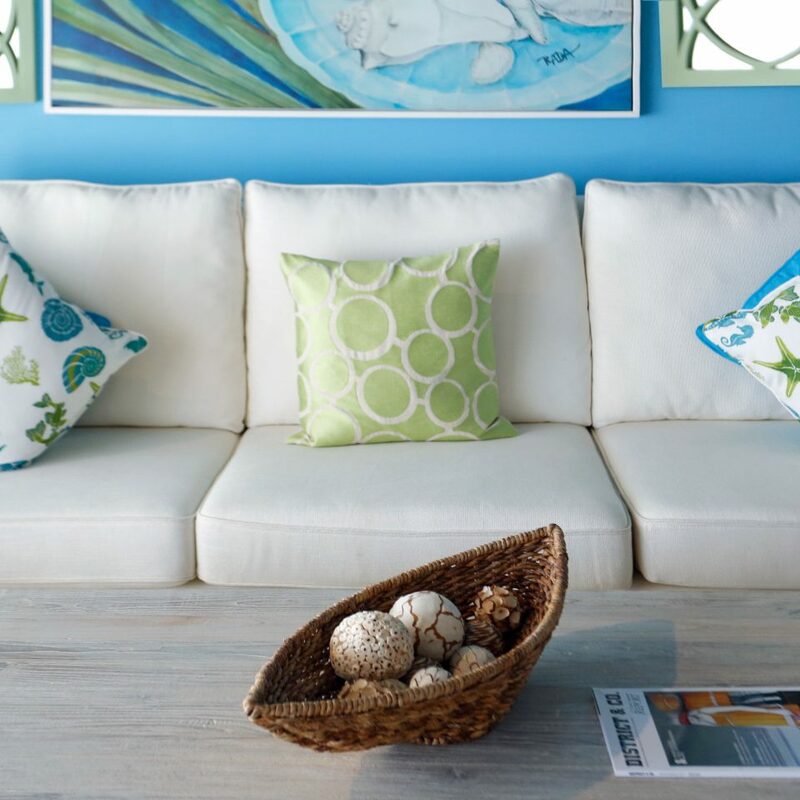 All have nautical decor similar to that in the lobby and common areas, with shell-print pillows, underwater-themed wall art and sea-green and blue accents at nearly every angle. 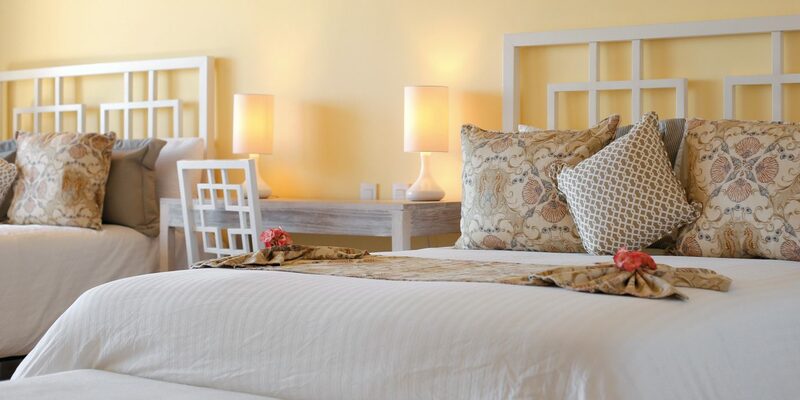 Raffia-trimmed chairs, sand-colored marble floors, and tropical-scented bathroom amenities add to the beachy effect. 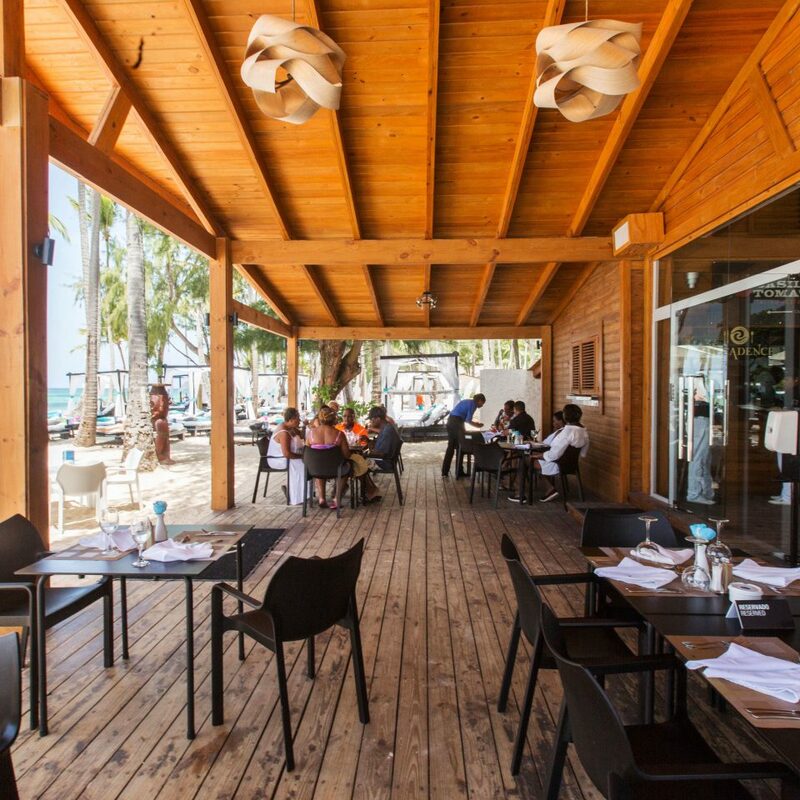 Ground-floor restaurant, Raices, focuses on local Caribbean and Latin cuisine. The open-air poolside grill offers a casual dining option. 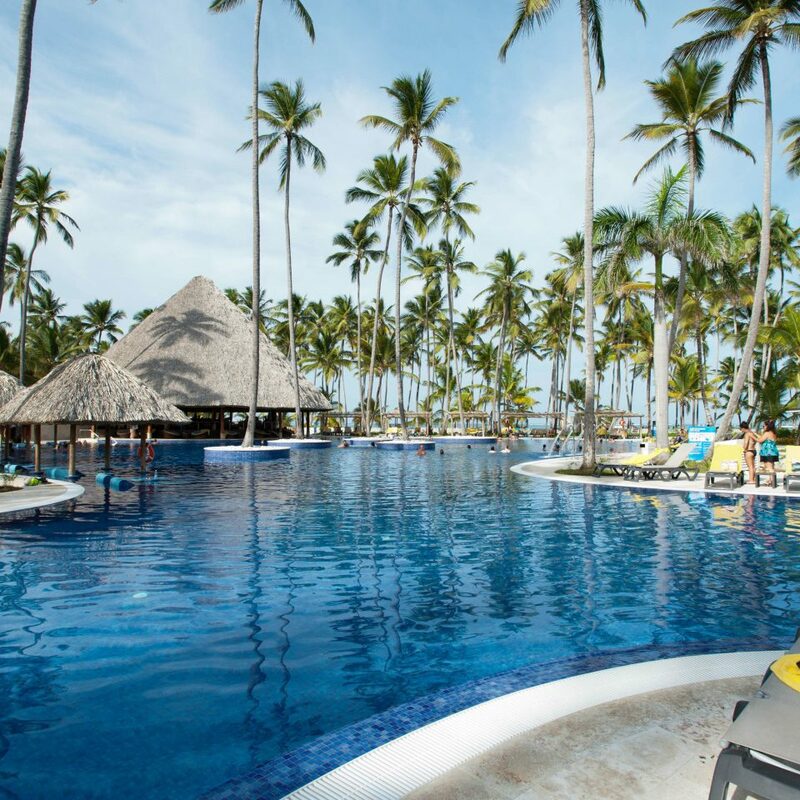 Get your craft cocktail fix at the Las Nubes lobby bar, or unwind with a tropical beverage at the swim-up bar overlooking the ocean. 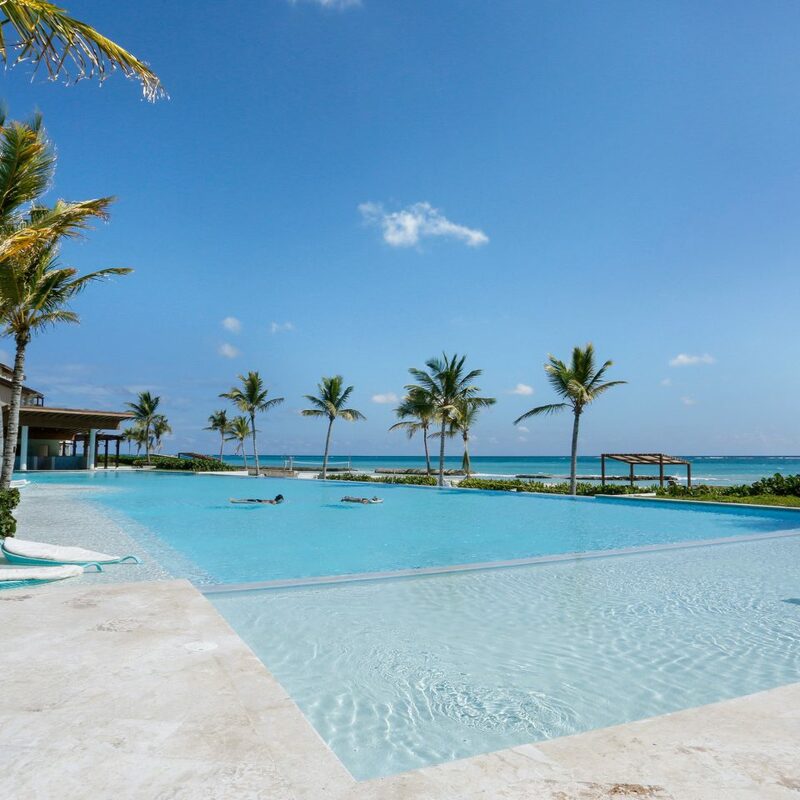 Apart from the pristine stretch of beach, though, the real gem at Alsol is the infinity pool: It has leaf-shaped in-water loungers and a waterfall edge that drops to the platform beneath, partially obscuring three discreet hot tubs. If you’re seeking a bit of adventure after days spent poolside, the nearby Scape Park is not to be missed: It offers eco zipline tours, paddle boarding and scuba diving, beach ATVs, and lagoons meant for cliff jumping, so there’s no shortage of outdoor activities for the whole family. 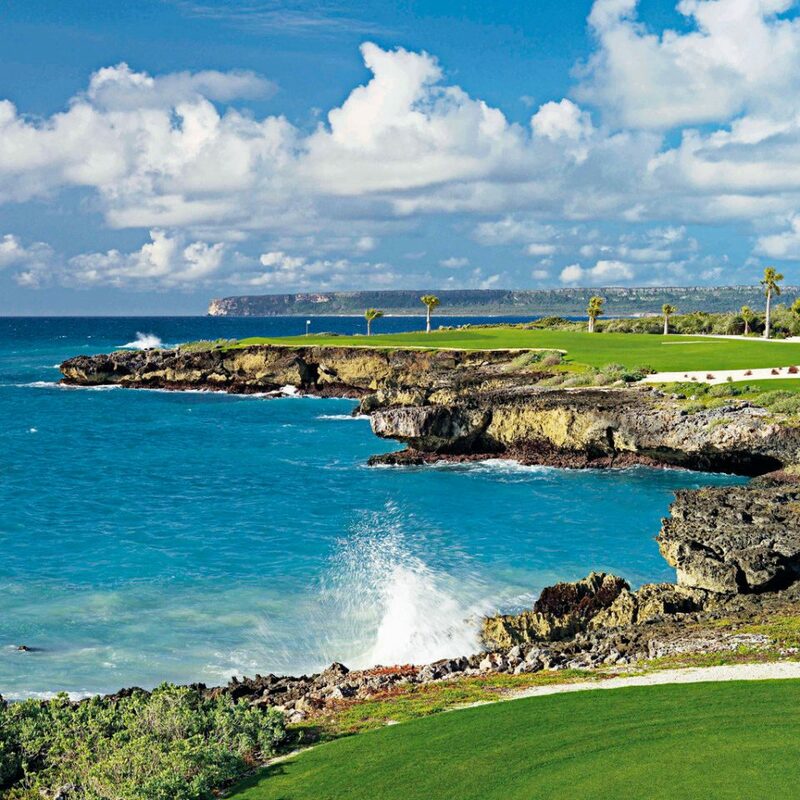 And even if you’re a novice golfer, a trip to Cap Cana would not be complete without a round at Punta Espada. 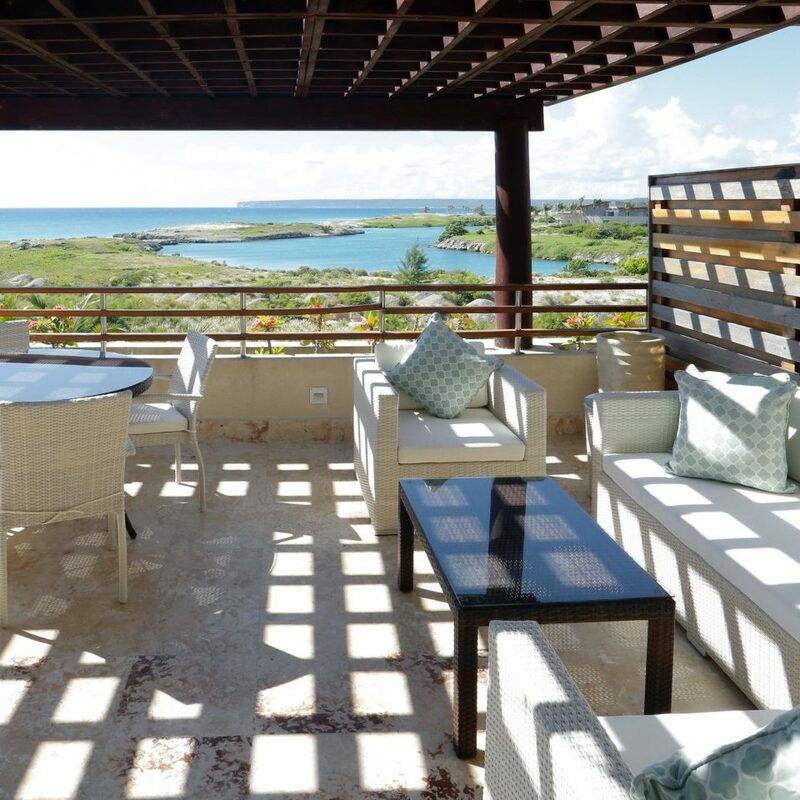 The Jack Nicklaus–designed course was recently named the number one course in the Caribbean and Mexico by Golf Week; contact the front desk to arrange transportation to the course from Alsol del Mar. My husband and I stayed at this hotel, loft oceanfront and we loved it. Customer service was excellent and the grounds was well kept up. We will sure visit this property again in the future. You will not be disappointed. This resort gym is a wow! As a fitness junkie I was pleasently surprised with the trainer on site, Everton! Big up to him because he made working out fun and gave me a lot of knowledge to leave with!! I can not begin to express my displeasure with this hotel and it’s staff. My girlfriend and I arrived at 3 o’clock and waited an hour to be shown to our room. Mind you the entire place is a ghost town and we were the only people there at this time. I reserved a ocean view with a jacuzzi, the ocean view was full of seaweed which I did expect from previous reviews. What I didn’t expect was the god awful smell that came from the beach. The jacuzzi ronly worked for two days and we were told they would fix it the next day after they purchased to parts. We never had a running jacuzzi again and we requested to transfer rooms were told that their were non available. The next morning we went down to the restaurant for our complimentary breakfast. After another hour and a half wait we were treated to two cold pieces of pancakes and toast and a couple of slices or cheese that tasted old. This was the only option every morning with our complimentary breakfast. By this time we had had enough and decided to venture off the resort to make the most of our trip only to be scammed by the taxi drivers who give kickbacks to the front desk people for reserving the taxi. 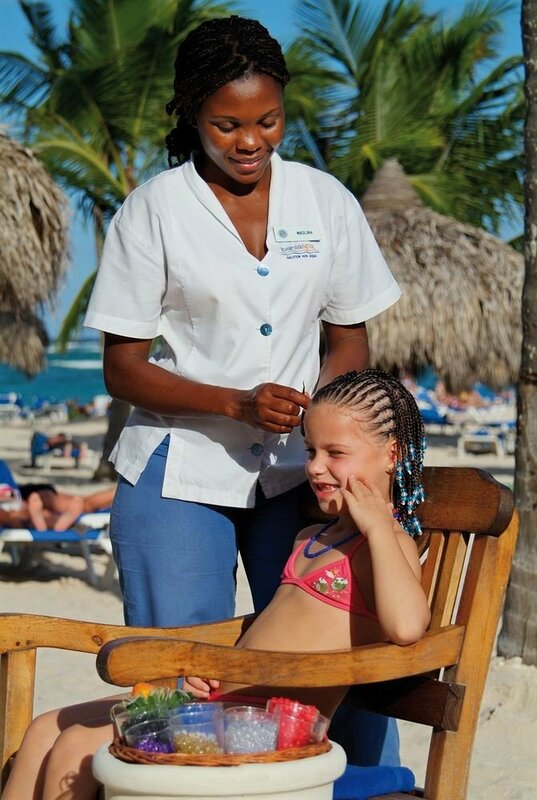 To go any where in Punta Cana they charge at least 45 dollars and we ended up paying twice that sometimes. Because the hotel is so secluded you don’t really have any other option. On the 4th night we decided to go for a swim in the pool only to have my girlfriends phone stolen while we were swimming. After speaking with multiple staff members and being told different things. The phone was finally returned by security. They said one of the staff members saw the phone and was going to turn it in to the front yet that same staff member didn’t think to ask the couple in the pool if it was their phone. I would recommend anybody planning to stay at this resort to spend their money on a better more professional resort. 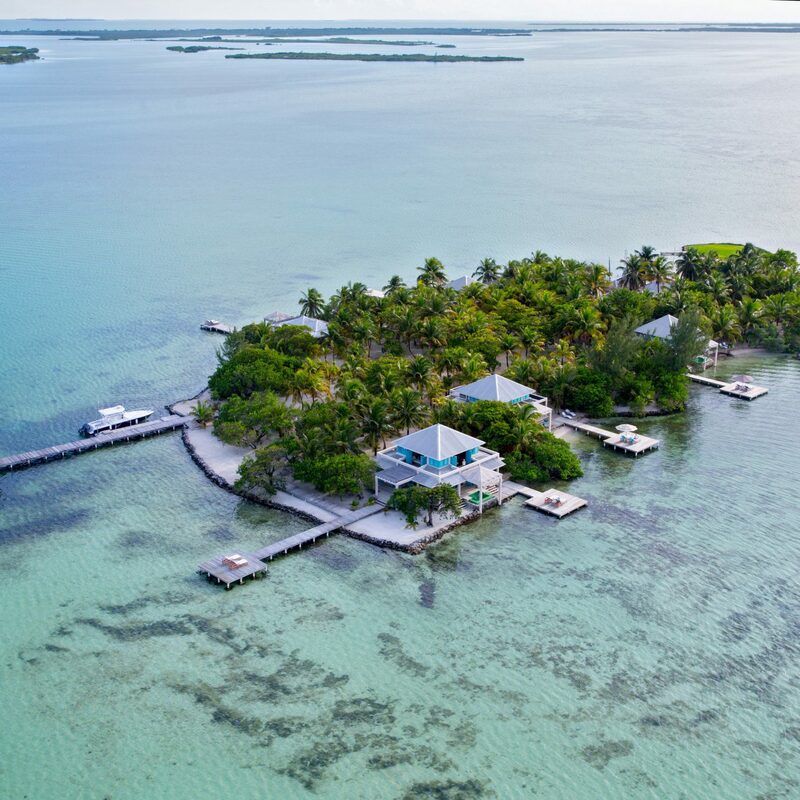 My partner and I thought that this would be the perfect break away and booked a week here, all inclusive from secret escapes. There are a few things to consider with this hotel, and even tho we had a fantastic time we thought we should throw a couple of heads up to potential travellers. The hotel itself is very clean, not super clean, but comfortable. They make an effort each morning to clear the seaweed of the beach to stop it smelling and look unpleasant. 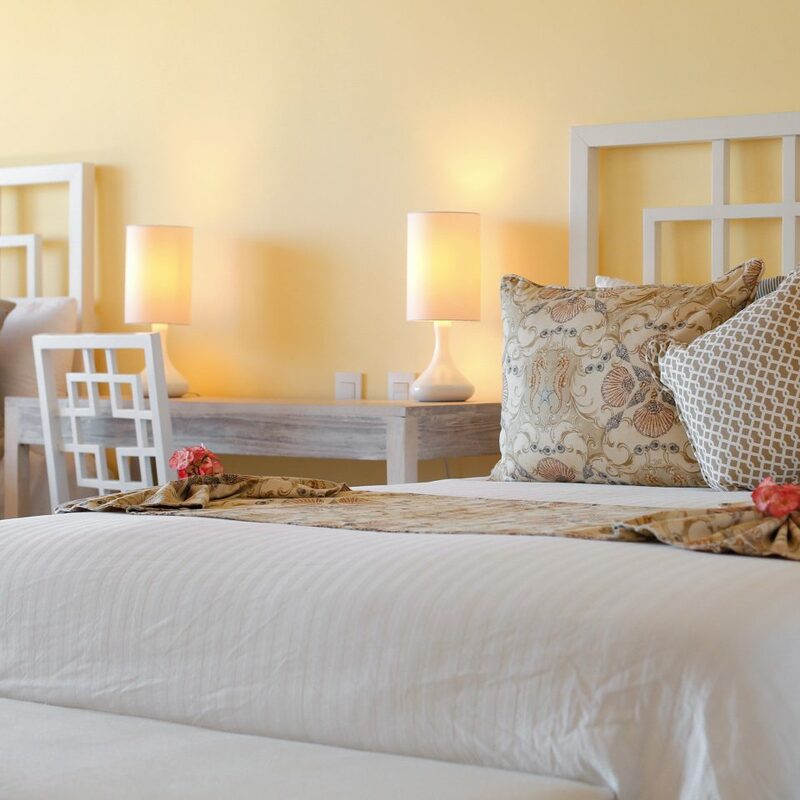 Housekeeping can be a hit and miss. Sometimes we would get beer in our fridge or soft drinks, other days just water. But who can complain when the bar is just a couple floors down. You will notice consistency is not a big thing here. All the staff are fantastic! There are a few language barriers, but they do try hard for you, just take a translator on your phone to help you at times. We had a room with our own hot tub on the balcony, but when we arrived there was no water in it. For 3 days we asked for someone to fill it and finally after using a translator on my phone we finally got it filled. It was disappointing that we had to wait half our holiday to use the hot tub, so if you have problems, use a translator on the front desk! Saves you a lot of time. The food at the restaurant is AMAZING! Having a sit down menu meal and not fighting with loads of people over a semi warm buffet is a real treat! The actual service is a little disappointing and could do with some tweaking, but the food totally makes up for it. Fresh fish, beautiful fillets and stunning displays! So what do you need to be aware of? Well, when you read the reviews here everyone says it is like a ghost town. They are not exaggerating! Luckily we made friends with 3 other couples on our visit and spent the evenings and some days together which made a world of difference. But to be honest, if they were not there then this still isn't a bad place to relax. My partner and I didnt see a single other guest on our first day until the evening at dinner. It was very strange, but it is nice not having to get up at 6am and do the towel run for a sunbed. You have every single sunbed to choose from! Its quiet, peaceful and you are not fighting with other guests to get drinks at the bar, for food at a buffet or sunbeds. Ideal in my opinion! 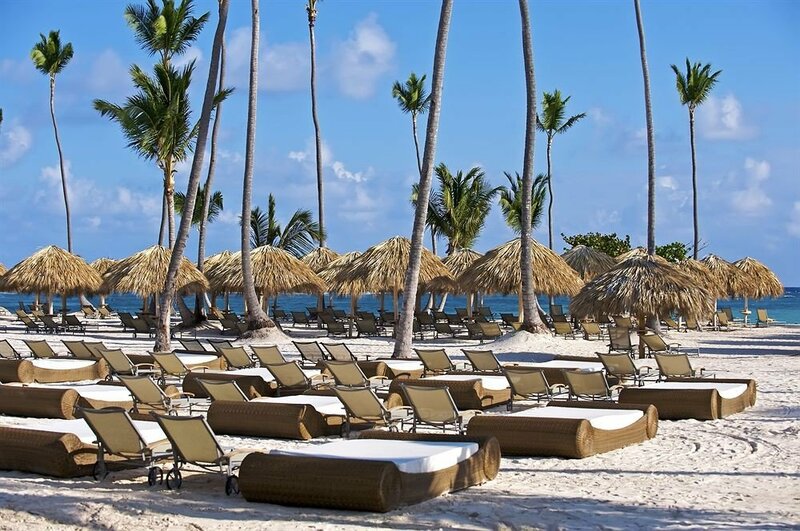 In Punta Cana the hotels are miles apart and getting anywhere requires a taxi or transfer, so dont expect to walk anywhere. So when we went we learnt that the hotel was going through some changes. You can no longer buy the all inclusive package and they were just honouring the deal with guests who already had bought it before the change. Like us. The restaurant was now being managed by another company. 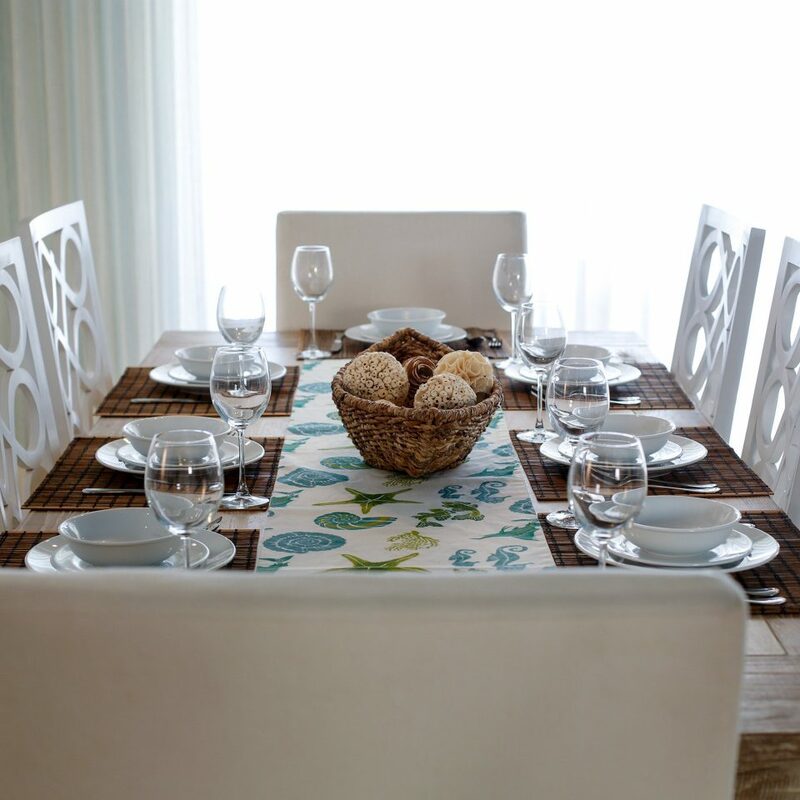 This meant that the other guests who got there before us had problems with dinner service. At first they were given the full menu that has a large variety of starters and mains, but soon after it got taken away from them and replaced with a small menu with only 3 mains and 2 starters. This also happened at lunch time. Luckily they complained enough to bring the full menu back for all all inclusive guests so we did not have this problem. But it was shocking to hear the hotel restaurant was trying to pull the wool over the all inclusive guests eyes and have them only choose meals from a 'cheap' version of their menu during these changes. Another useful tip is to carry lots of loose change with you for tips. Try and get this before going to the hotel. We only had large notes when we arrived and no one in the hotel could break it for us. You can do this at the airport if needs be, or take a trip to the capital and break it there when buying souvenirs like we did. Also, there is no shop on site! There is a shop at the sister hotel where you can get a taxi to. Apart from these problems, we still had a great relaxing holiday. The people were lovely, we made some great new friends, and it was the most stress free holiday I had ever been on. I will certainly be looking out for all inclusive holidays now with a menu for dinner rather than a buffet. We would like to go back some day if they ever provide this offer again. The ground is beautiful. The pool was awesome. Only two options for choice of food, but it was very good. I got tired of eating at same spot. This place is in a gated community and away from everything, which makes it hard to leave without a rental car. Do not get the cab, they will charge you $40 and the driver split it with the front desk girl. We were told on the previous night it was 4 dollars for a taxi and got con by their fellow workers. It was very disappointing to see how thirsty some of the workers. The beach was not accessible as the seaweed was everywhere and the awful smell was overwhelmingly. We will not be returning to place.